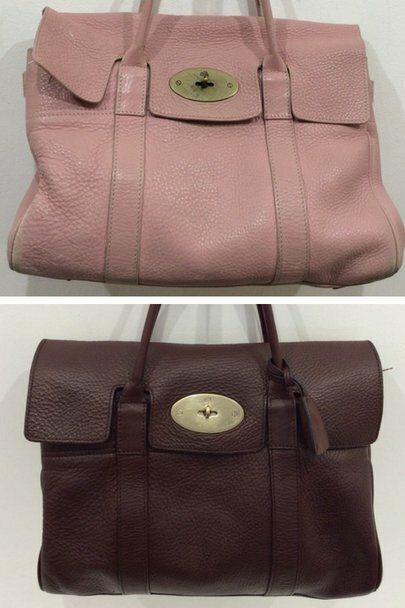 This Mulberry Bayswater has been given a new lease of life and is now ready for another season. 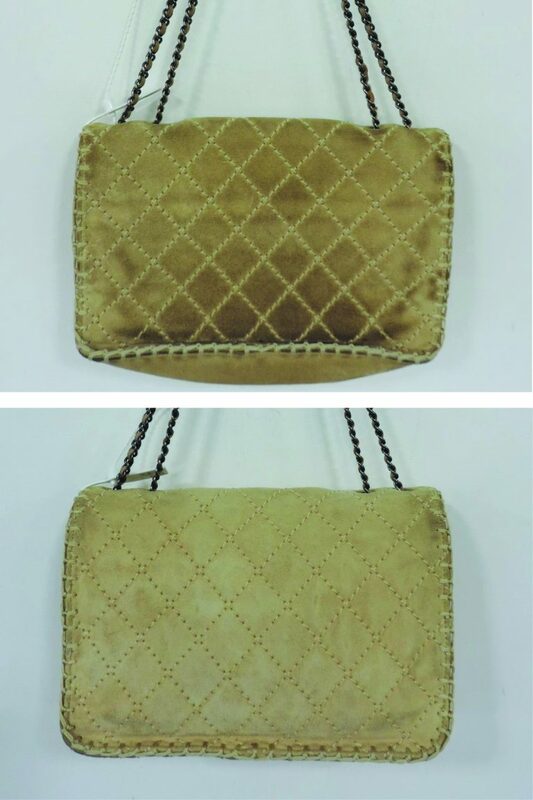 This Suede Chanel handbag came into the spa with Dye Transfer building up on its surface, creating dark areas which were ruining its appearance! The technical team undertook our specialist Suede Cleaning treatment to reduce the marks and staining as much as possible. As you can see from the images above, this was a resounding success. 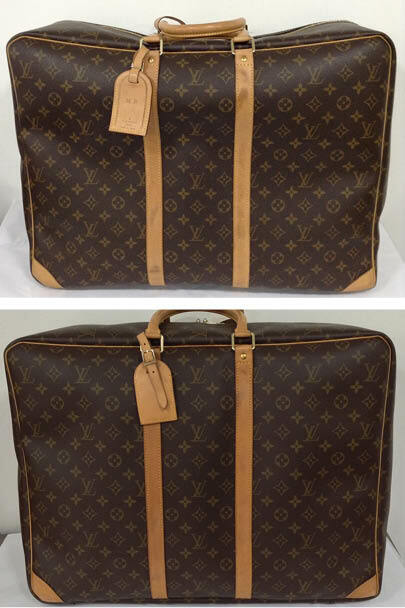 Louis Vuitton made their name in luggage and their suitcases are iconic, so they’re well worth taking the time to clean and restore! The Vachetta on this client’s Louis Vuitton suitcase was looking marked and grubby when it arrived at The Handbag Spa. Luckily our expert technicians undertook a Vachetta Restoration treatment, which does not entail putting ANY pigment on the leather trim. Now the dark patches have been blended in and the Vachetta looks much more even. The bottom of leather handbags can pick up all kinds of stains and marks over time and with use, but don’t let this deter you! Our specialist treatments ranging from Full Cleans, Degreasing and Colour Corrections, can rectify problem areas. 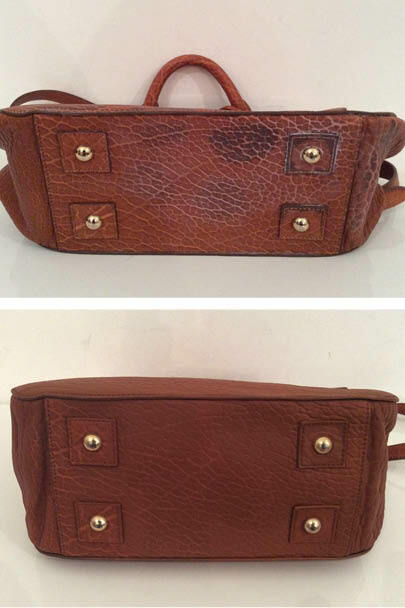 This oak Mulberry handbag is a great example of the Stain Removal results we can achieve here at The Handbag Spa. This Prada double zip tote came into The Handbag Spa in a blush pink shade, which the customer felt wasn’t working for her anymore. 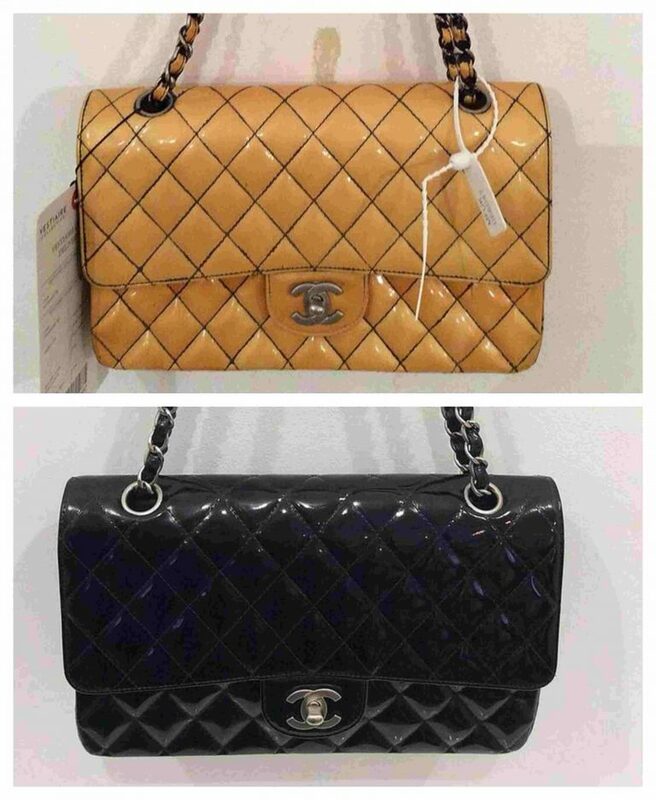 Afterall, lighter coloured bags are notorious for picking up staining and showing dirt up. She asked our team to change its interior and exterior colour to black, which is a great colour for covering up stains. 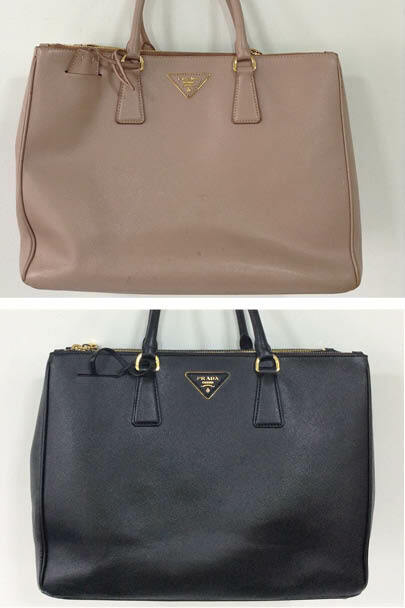 This colour change is in keeping with the rest of Prada’s double zip tote range and worked to really transform the overall bag.